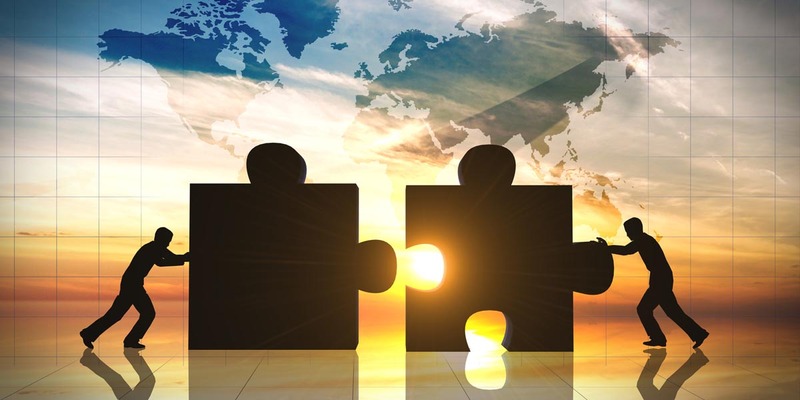 Hot Market for Small Business Mergers and Acquisition Activity | Business Forward! If you are considering cashing in your long-held business chips and selling your company, now may be a great time. Business brokers from around the country are espousing the virtues of this market for small businesses with values of less than $50 million. Scott Bushkie, principal at Cornerstone Business Services, a mergers and acquisition firm based in Wisconsin that works with lower middle market companies says, “I’ve been doing this for 20 years, and I can say that if this isn’t the top market, it’s the top one or two in recent years. You’ve really got the stars all aligned.” The market for small business sales is somewhat analogous to real estate sales. Right now it is a seller’s market. Several factors denote why this is so. First, small business owners surveyed say that they are receiving an unprecedented number of cold calls to sell their business. In addition, those that have their businesses on the market are often receiving multiple offers, similar to that of a hot real estate market. Selling your business is not an easy decision, but one you should always plan for from the start. There are numerous ways to cash out, and the hot one now is an outright sale. With real estate it is said to be location, location, location, and supply and demand of housing of course. So what is triggering this recent boom in small business sales? Lower taxes and less regulation: Sentiment has improved as a result of President Trump’s pro-business and particularly pro-small business stance. With the advocacy of Linda McMahon at the SBA, small businesses are now positioned as well as ever. The mergers and acquisition activity may also alleviate the biggest concern of small business to date; hiring trained workers. Companies that want to grow may see an acquisition as the easiest way to get skilled workers amid a tight labor market. Add to the sentiment that baby boomers with small businesses are starting to retire, and you have a perfect storm of opportunity. Selling for Top Dollar: The increased demand for businesses, whether it is to acquire labor or simply to cash out, has resulted in competition for would-be buyers. Mike Shea, president and CEO of Shea Barclay Group, says, “We’re excited to be on the buy side, but we also take into consideration that it almost reminds you of the housing market: Are we at the peak?” While no one can call peaks and troughs, one should be cautious in an overheated market. Financing Still Considered Inexpensive: Rising interest have not deterred investment activity. Nominal interest rates are still near historic lows. In addition, many companies will finance an acquisition with cash, or a combination of cash and stock in the acquiring company. Either way, the cost of money has not slowed demand. “You would think there would be a tipping point from higher rates,” said Craig Everett, a finance professor at Pepperdine Graziadio Business School. Valuations are staying at the high end of the spectrum, so this tipping point has yet to be reached. Strike While the Iron is Hot: This is a really good market to consider selling. A common mistake made is waiting too long to bring your business to the market. The time when you get top dollar is when your business is running on all cylinders, and growing at a rate that will be optimal to buyers. It is much easier to sell something on the rise, than when it has been static for several quarters or a fiscal year. Selling doesn’t Necessarily Mean Leaving: More times than not, when a principle or company founder sells out, there is a buyout period where they will stay on and lend their expertise to the acquiring company. In addition, often times a position is created for the former principles in the new or merged entity to stay on as long as they wish. So don’t let selling scare you into retirement if that is not what you are looking for. Have a Plan in Place: Be prepared now for what may happen down the road. You never know when an offer may come or an illness may strike requiring you to be prepared to sell. You must have your books and finances in order, and continually have your CPA value your business for such instances. If you follow these easy steps, you will be in control when it comes to time to sell.